Hiking activity is a good hobby and a lot of people like this type of recreation. But apparently, not everyone was comfortable with the activities of this mountain climb. The reason is diverse, ranging from fatigue, don't want to be a burden to others, etc. taste how is it like to climb up a mountain, but merely a "tasting" and not "eat one plate," we can do it in Kawah Ratu. 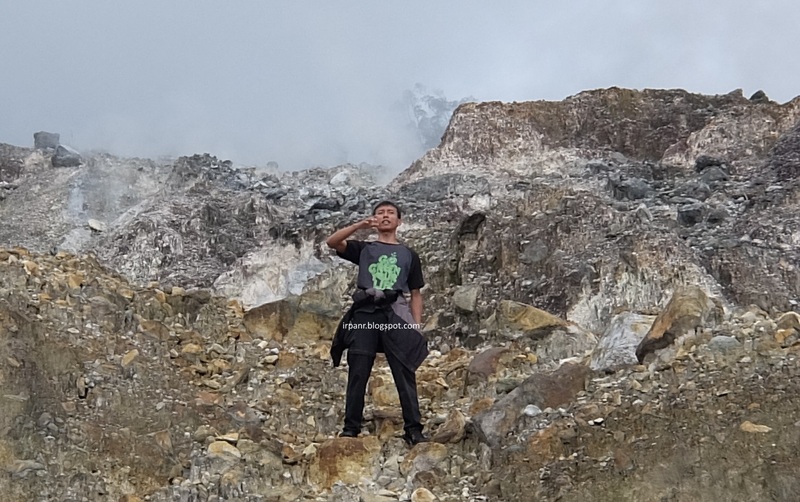 Kawah Ratu is a volcanic crater which is still active, located on Mount Salak. Mount Salak itself is relatively close of Jakarta, which is only around 80 Km away. Administratively, this is Mount Salak in Bogor, West Java. What is unique about this Kawah Ratu crater is, a mostly crater was at the peak of the mountain, but Kawah Ratu is located on the slopes. So to get there, we do not need to do a full ascent to the mountain top, but only around one-third only. The gate of the ascent to Kawah Ratu is located at the tourist area of Mount Salak Endah. To get to this place, if, from Jakarta, we can go through Jagorawi highway, exit at South Sentul Toll Gate. 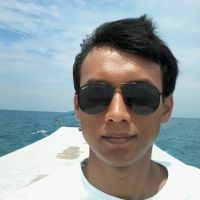 After that, ride down the road that connects the West Java province of Banten. As for the checkpoint, we are going through the IPB (Bogor Agricultural University) Dramaga. At the T-junction named Cibatok, we turn left along the uphill road as far as 18 km, to reach the area of Mount Salak Endah Tourism spot. This uphill road is already smooth, so we don't need to worry we will break our car suspension. 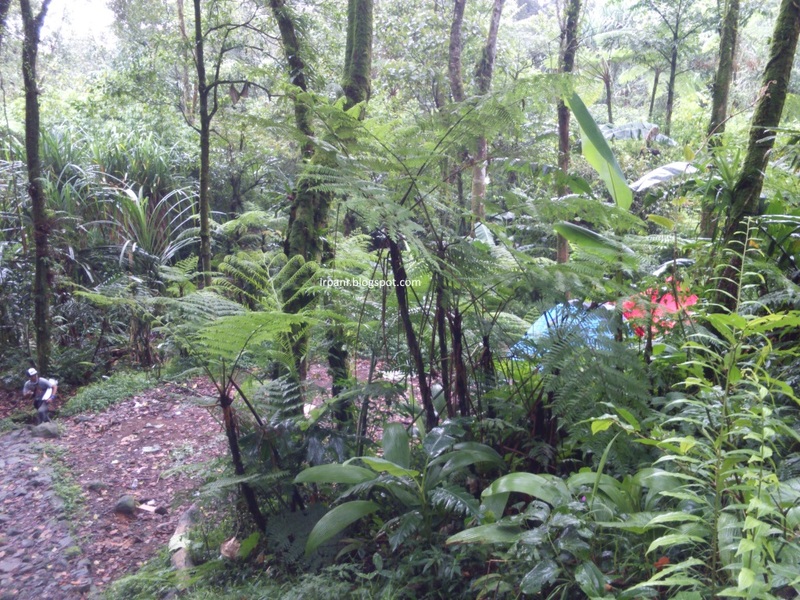 The area of Mount Salak Endah has a lot of Curug or Waterfall. In addition, there are also hot springs and caves. 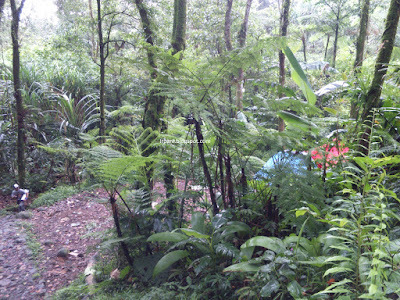 In this area, there are also many Camping Ground, Villa, Resort, and so on. Even aAt this location there is also a military training camp. If we want to get to Kawah Ratu, we enter from the gate named Pasir Reungit. From this gate of Pasir Reungit to Kawah Ratu, the distance is about 4 Km. We can arrive at the crater after about 2.5 hours walk. Excellent hiking trails adorned by a stony path that penetrates the thick tropical rainforest. Not infrequently we have to cross a small stream of clear water. In fact, in some places, we had to actually walk down a shallow river. Along the way is dominated by a sloping street. Although there are also climbs, but this climb is not steep, it's just mediocre. When we reached the crater, we seemed to set foot on another planet. Because it has a different scene here. We can get into the interior of the crater, walking among the clouds of smoke and boiling small pools, a mix of water and mud. In some places there standing some dead trees with bare branches. The crater is also divided by a river wide enough watering profusely. Water flowing over a grayish colored translucent. And the water was lukewarm. Perhaps the river is a mix of the water from the forest above and the hot water coming out of the crater. At some point, there is a source of sulfur. For some visitors, these sulfur is often used as a face mask.Especially by those who face acne, with the hope that his acne dried up and his face becomes smooth. Kawah Ratu does have its own charm, which makes us linger here to enjoy it. But for those who want to set a camp, it is forbidden to set up tents around the crater. This is because the crater exhales out toxic fumes, which if we breathe continuously in the long term, it could be bad for health. Even if we wanted to camp, we could choose a place that is a little way from the crater, but beyond the reach of the poisoning smoke. In that place tThere are several open areas for setting up the tent. Because it is relatively close and the short travel time, we can make the trip from Jakarta to Kawah Ratu, round trip in one day. We can depart from Jakarta early in the morning, say at 6 am. Arrive at Pasir Reungit at 9, then hiking to Kawah Ratu for 3 hours. Explore the Crater from 12 o'clock to 1 pm. Then at 1 pm climb down back to Pasir Reungit. Arrive at Pasir Reungit at 3 pm, then returned to Jakarta. That is if we use a private car or chartered. If you want to use public transportation, from Jakarta we could catch the train to Bogor station. From the station, we ride public transportation (Angkot) to the terminal Bubulak. 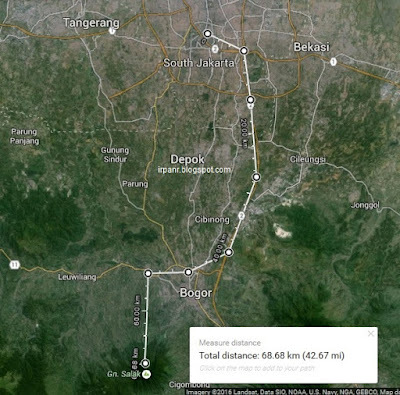 Then take another Angkot heading to Leuwiliang, we get off at the T-Junction Cibatok. From the junction Cibatok, there is no public transport to the tourist area of Mount Salak Endah. If there is any public transport, it only to township residents under the Tourism Zone. But we can try to negotiate with the driver so that we can rent it to Mount Salak Endah. Well for those who want to taste a small hiking with all its beauty, before climbing high mountains, can start practicing to Kawah Ratu first.